Perhaps it’s because I have a significant birthday coming up next month, I seem to be pre-occupied with the passage of time…milestones, anniversaries, and farewells. The Newberry Library’s exhibition “Pictures from an Exposition: Visualizing the 1893 World’s Fair” runs through December 31. Photo by Newberry Library. Of course, this year marks the bicentennial for the State of Illinois. It’s also the 125th anniversary of the 1893 World’s Columbian Exposition that was held in Jackson Park, and when the Newberry Library opened its doors. I want to see the new exhibition at the Newberry Library, “Pictures from an Exposition: Visualizing the 1893 World’s Fair” (through December 31), and also check out the newly renovated first floor. It’s the 125th anniversary of the Field Museum of Natural History as well. On October 26, 1893, Marshall Field donated $1 million to establish a museum originally housed in the Palace of Fine Arts of the 1893 World’s Columbian Exposition. The museum moved to its current home in 1921. After the Field Museum moved out of the Palace of Fine Arts in 1920 it was left unused until it morphed into the Museum of Science and Industry. It’s the 50th anniversary of the first manned mission to orbit the Moon, Apollo 8. The crew of Apollo 8, Colonel Frank Borman, Captain James Lovell, and Major General William Anders, are the guests of honor at the Museum of Science and Industry’s annual Columbian Ball “To the Moon and Back Again” on October 6. “Chicago, Chicago with Geoffrey Baer” will be on October 6 at the Stage of the Pritzker Pavilion. Photo by Ken Carl. Vocal ensemble Chicago a cappella’s 25th season opens with “Chicago, Chicago with Geoffrey Baer” a musical and visual history of the city narrated by WTTW’s Geoffrey Baer on October 6 at the Stage of the Pritzker Pavilion. Additional performances are October 7 in Oak Park, October 20 in Evanston and October 21 in Naperville. Other milestones this month include the opening of the University of Chicago Presents 75th concert season with a performance by the Takács Quartet on October 12. It’s the 50th anniversary season of “Keyboard Conversations.” The first concert of the “Keyboard Conversations with Jeffrey Siegel” series at Northwestern’s Pick-Staiger Concert Hall is “The Joyous Music of Beethoven” on October 5. The 25th annual Symphony Center Presents Jazz series opens with Ahmad Jamal on October 12. The 40th season of Chicago Jazz Orchestra opens with “A CJO Salute to Nancy Wilson” on October 13 at the Studebaker Theater. The Bear Necessities Pediatric Cancer Foundation’s 5th annual “A Walk for the Bear” takes place October 21 in Lincoln Park. Halloween must be fast approaching. The Bear Necessities Pediatric Cancer Foundation’s 5th annual “A Walk for the Bear” has a Halloween theme. Participants are welcome to come in costume for this family-friendly 3-mile walk to benefit pediatric cancer research. After the walk, there will be Halloween activities such as a costume contest and pumpkin decorating, Lincoln Park, 1700 N Stockton, October 21. It’s the 200th anniversary of Mary Shelley’s novel “Frankenstein” so there are several productions this season. Robert Kauzlaric’s world premiere adaptation of Mary Shelley’s “Frankenstein” runs through October 28 at Lifeline Theatre. Nick Dear’s adaptation of “Frankenstein” runs October 11-November 11 at Remy Bumppo at Theater Wit. I have tickets to Manuel Cinema’s adaptation of “Frankenstein” that includes shadow puppetry and live music, November 1-December 2, Court Theatre. Tim Burton’s film, “The Nightmare Before Christmas” was released 25 years ago. To celebrate, there will be a special Halloween screening of “Disney in Concert: Tim Burton’s The Nightmare Before Christmas” featuring the Chicago Philharmonic Orchestra at the Auditorium Theatre on October 31. The response has been so great that they’ve added a second date, November 1. Ephrat Asherie Dance presents the Chicago debut of “Odeon,” October 11-13. Photo by Matthew Murphy. The Dance Center at Columbia College Chicago is celebrating its 45th season, but I’ve never been to a dance performance there, nor has my good friend and balletomane Doris Timmen. We will remedy that this month when we see Ephrat Asherie Dance “Odeon” in its Chicago debut during its October 11-13 run. I would also like to see Tere O’Connor Dance when it performs “Long Run’ at the Dance Center, October 18-20. Debuts and brand-new works are always exciting to see, but revivals can be satisfying too. The 2017 revival of “Hello, Dolly!,” with Broadway legend Betty Buckley, is October 23-November 17 at the Oriental Theatre. I’ve enjoyed E. Faye Butler in several local performances, so I would like to see her in “Gypsy” at Porchlight Music Theatre, October 12-November 25. Terrence McNally’s “Master Class” starring Janet Ulrich Brooks as Maria Callas is at TimeLine Theatre at Stage 773, October 19-December 9. Brooks did a stellar job playing Queen Elizabeth II in TimeLine’s hit “The Audience.” “Little Shop of Horrors” is back. The revival at Drury Lane Theatre, Oakbrook Terrace, is getting terrific reviews, through October 28. Tadao Ando speaks at the Art Institute of Chicago on October 11. Photo by Keitaku Hayashi. I visited Wrightwood 659 in June to see Chinese activist/artist Ai Weiwei’s “Trace” installation and peek down at the Tadao Ando designed house next door. Wright 659, the new exhibition space designed by Japanese starchitect Ando, wasn’t completely finished then, but it is now and will host “Ando and Le Corbusier: Masters of Architecture” an exhibition about Ando and the architect Le Corbusier, who influenced Ando, October 12-December 15. Visitors must make on-line reservations. There is a wait list to hear Tadao Ando speak at the Art Institute of Chicago on October 11. I am fascinated by the work of Yayoi Kusama, a Japanese artist who’s also on Vanity Fair’s 2018 Best-Dressed list. A few of her works hang in my apartment, but I’ve never been to one of her infinity mirror rooms nor seen any of her large-scale installations, so I’m anxious head to the Wndr Museum which opened September 21 to see Kusuma’s “Infinity Mirror Room: Let’s Survive Forever,” along with other installations. I also want to see the Chicago premiere of “Kusama: Infinity” during its run at the Gene Siskel Film Center, October 5-18. Chicago has always been a hotbed of art, architecture and design; so I am looking forward to seeing two exhibitions that open on October 27: “African American Designers in Chicago” at the Chicago Cultural Center, through March 3, 2019; and “Modern by Design: Chicago Streamlines America” at the Chicago History Museum, October 27-December 1, 2019. I picked up the companion book (all 7 lbs. of it) to the exhibition, “Art Deco Chicago: Designing Modern America,” edited by Robert Bruegmann. The tome talks about and has photos of several Sunbeam appliances. In my last column, I mentioned my paternal grandfather, who was a chef at the Men’s Grill at Carson, Pirie & Scott in the 1930s and 40s. My maternal grandfather worked at Chicago Flexible Shaft, which became Sunbeam in 1946, from the early 1930s until he retired as a vice-president in the 1960s. WTTW’s new four-part series “Art Design in Chicago” focuses on Chicago’s rich art and design legacy. 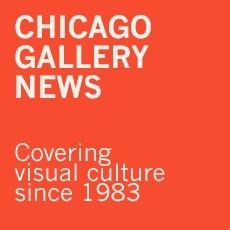 The series, part of the citywide Art Design Chicago celebration, runs Fridays, October 5, 12, 26 and November 2. Elton John’s “Farewell-Yellow Brick Road” hits the United Center, October 26-27. And now for the farewells and fare-thee-wells. Farewell to Chicago International Film Festival founder Michael Kutza who is stepping down at the end of this year. The festival, in its 54th year, runs October 10-21 at AMC River East 21. Singer Joan Baez stops at the Chicago Theatre on October 5 on her “Fare thee well…. Tour 2018.” Elton John’s “Farewell-Yellow Brick Road” hits the United Center, October 26-27, but he’s returning to Chicago February 15-16, 2019 at the Allstate Arena, Rosemont. Dates, times, and availability are subject to change. This entry was posted in About the Town on September 30, 2018 by Kay Whitfield.